DHA Designs have been invited to attend this year’s conference at Light Middle East in Dubai. Peter Fordham will be presenting a paper titled “Reducing Light In The Public Realm – With Design Intent and Adding Quality” on Tuesday 4th November at 5pm. This entry was posted in Public Appearances and tagged Conference, Dubai, Light Middle East on October 13, 2014 by dha. 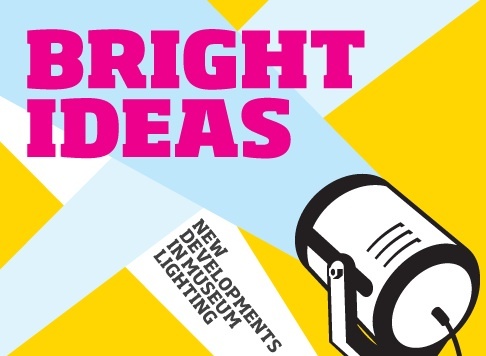 DHA director, Jonathan Howard, was asked to speak at the recent Museums Association conference, Bright Ideas, held at the Royal College of Surgeons in London on April 30th. The conference aimed to explore the impact of new legislation & technological innovations on current museum lighting. Chaired by Jill Entwistle, editor of the Lighting Journal, the speakers covered a wide range of topics in technical & artistic approaches to lighting practice today. Jonathan joined other members of the lighting community, including Kevan Shaw (KSLD), Stephen Cannon-Brookes (CB Lighting), Arfon Davies (Arup), George Sexton (Geo. Sexton Associates) & David Saunders (British Museum), and give a review of recent DHA projects that used a variety of light sources in museum environments, including our work on the Mary Rose Museum & the Navy, Nelson & Nation Galleries at the National Maritime Museum, Greenwich. The talk was well attended by members of the museum community, and the quantity and technical nature of the questions asked by many delegates at the end of the presentations showed that lighting is a key area of interest to museum professionals. A review of the conference can be found in the July/August edition of the Lighting Journal. This entry was posted in Press, Public Appearances, Uncategorized and tagged Conference, Museums Association on May 1, 2014 by jonathan.